Selling my mint condition Port 72 and 67mm macro attachment. I've modified my 4.33 dome to use a macro swing mount and no longer need this port. It's in absolutely perfect like new condition and the added macro mount has only been used a couple dives. This works with the Sony 18-55mm lens, which in my opinion is sharper and doesn't lose it's zoom position every time you turn the camera off, like with the 16-50 retractable lens. 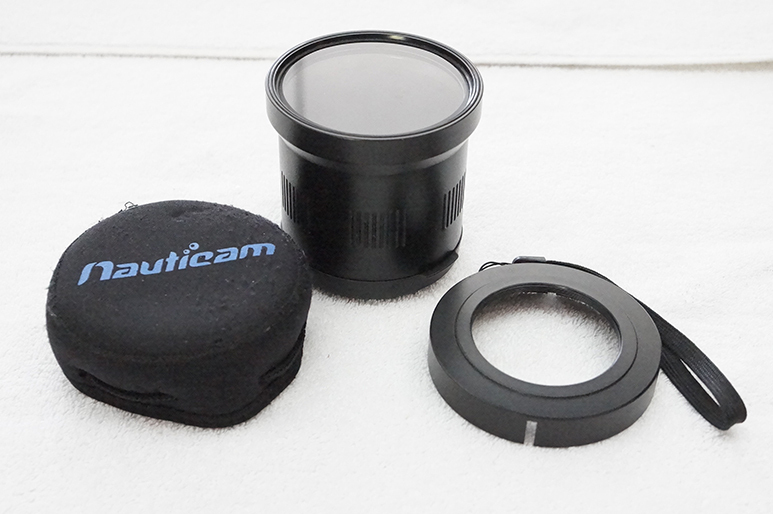 The macro adapter works great and you can even outfit this port with a Nauticam swing mount (which I now use on my 4.33). Sell for $225 with 67mm macro adapter. Shipping via USPS-Medium Flat Rate box. Payment must be made with Paypal to protect buyer and seller.